Christmas in Dublin 2016 brings another year of street lighting, shopping, music, parties, celebrations, Christmas markets and festive cheer. There’s lots on during December including pantos, music, fun for kids and lots more. Based on the classic tale this hilarious production is of singing, dancing and laughter as Robin Hood and His Merry Men wander on their adventures in Sherwood Forest always being stalked by the evil Sheriff trying to collect the ever increasing taxes. (Lots of scope there for the usual jibes at politicians, public figures and celebrities). 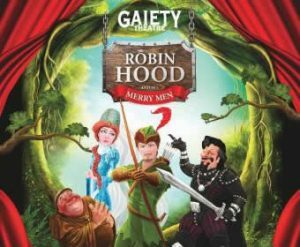 The Gaiety panto is always a great family fun day with children and adults of all ages enjoying the hilarity! 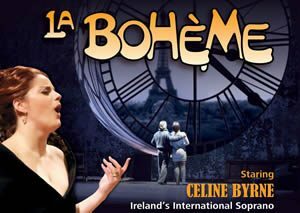 Set in The Latin Quarter of Paris, LA BOHÈME is one of the favourite operas of all time and features numerous well loved arias including Che gelida manina – (What a cold little hand), Sì, mi chiamano Mimì and O soave fanciulla. The heart wrenching tale has characters obsessed by art, creation and love. Originally premiered in Turin in 1896, this production by the internationally acclaimed Novaya Opera Theatre of Moscow stars Ireland’s Celine Byrne in the leading role of Mimi. Date: 1st December 2016 19:00 – 23:0019:30 – 21:30. Remember them? They were big in the 90s and made a name for themselves in the 90s for their colourful album covers, videos and stage shows. They often sung entire songs in Welsh which was their native language, much to the consternation of their fans. They burst on the scene in 1996 with their single “Hometown Unicorn”, and followed up with numerous hits and albums becoming famous worldwide and they continue to command a large following. It is twenty years since their debut album and this is a unique opportunity in Dublin December 2016 for Irish fans to see them. Jack L is back in Dublin after a successful stint at the Hollywood Fringe festival where he got awards for his show The King of Soho and Other Stories. His new single The King Of Soho from his acclaimed album Magic Days features in his new show which starts off at Whelans where his new album will be released. Fans of Jack L will not want to miss this one. Leinster Rugby’s Pro12 campaign goes ahead against Newport-Gwent Dragons at the RDS on December 3rd. Some of Ireland’s heroes from the Guinness series including Cian Healy, Jamie Heaslip, Rob Kearney and others are likely to be in the lineup. With Ireland’s historic success against The All Blacks boosting the interest in Irish rugby this world-class event will be well attended. 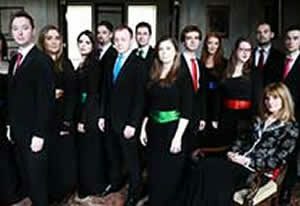 Paul Brady teams up with The Guinness Choir for this festive concert at St Patrick’s Cathedral, which was restored with the help of the Guinness family. 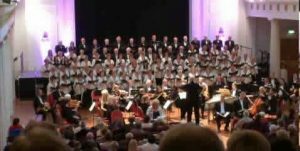 Paul Brady, with organist David Leigh will perform the Choral Suite of the Armed Man and numerous other carols under the direction of David Milne. This market, located in Dublin’s Chocolate Factory in the city centre will feature 40 stalls with all sorts of crafts including bakers, growers and designers. The Christmas Makers Market is a place where you can find something for all the family. There will also be a cafe, a nail bar and hair salon lots of fun and of entertainment for all ages. Mary Coughlan has been at the forefront of Irish music for decades. Her singing is hard to categorize but has been described as “Jazz meets folk”. She has revived many old jazz songs including on the album Mary Coughlan Sings Billie Holiday. She performed on A Woman’s Heart with Mary Black, Dolores Keane and others and has continued to tour relentlessly especially in Ireland and the UK. She will perform many favourites including, hopefully a few songs from her 2008 album The House of Ill Repute at the Magistorium. This band which was formed in Cavan in 2010 has quickly gained international attention with their gritty energetic R&B sound. Firmly based on blues and rock sounds of the sixties and seventies and influenced by the likes of Dr. Feelgood, The Rolling Stones, The Yardbirds, Chuck Berry, Bo Diddley, Howlin’ Wolf and others they were quickly in demand and have toured extensively and recorded a number of albums already. Their appearance at the Olympia is bound to cause a stir with a full house likely. Elton John has been in the music business for over five decades and is still on the go as strong as ever. He has had so many hits over the years including Candle in The Wind, Sacrifice, Don’t Let the Sun Go Down on Me, Sorry Seems to be the Hardest Word, Goodbye Yellow Brick Road and many more too numerous to mention. His unique rock piano sound is immediately recognizable and he has entertained generations with his unique voice and flamboyant style. The Coronas have become a musical sensation and have broken all sorts of records. They previously has a six night run at the Olympia so this one night only show is certain to be a sell out, with many fans likely to be disappointed. They will play favourite songs including some from their platinum selling album The Long Way as well as some new material. You will be lucky if you can get a ticket. The Snowman, that never ageing animation returns to the Bord Gáis Energy Theatre. Now a part of every Christmas, almost as popular as Santa Claus, Howard Blake’s score is played live by the Irish Philharmonic Orchestra. This production is suitable for young children and all the family. Hear the ubiquitous ‘Walking in the Air’ and a selection of popular Christmas Songs played live. Shay Byrne (RTÉ Radio 1’s Risin’ Time) will tell the story of James and the flying snowman as you watch the film on the big screen. 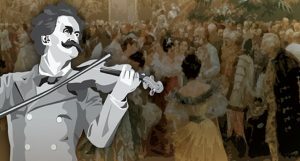 The RTE Concert Orchestra plays a selection of pieces from the days when Vienna was the centre of music, culture and high society. If you like Strauss, Joseph Haydn and Beethoven and the era of classical music, this recital will take you to the time of wigs, balls, waltzes and infectious music. This is a celebration of Vienna’s grand epoch, performed by the RTÉ Concert Orchestra and guests. New Dublin Voices performs a selection of Christmas favourites at Draíocht Theatre at The Blanchardstown Centre. The choir has won numerous awards and participated in many of choral music festivals. This choir has some beautiful voices which will perform many seasonal songs as well as popular numbers. Leave Pearse Station in Dublin for one day only this December and head for the seaside town of Greystones. The two-hour journey will be filled with laughter and music, singing, mince pies, and and fun ad games for children and drinks for adults. 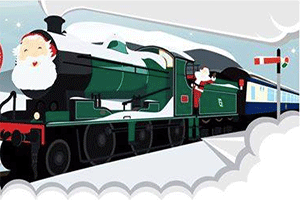 Santa is likely to make an appearance on the train with photo opportunities and selection boxes for all the children. Get your tickets – not many seats left! The Red Hot Chili Peppers haven’t been seen live for four years but now they are on the road again to promote their 11th studio album The Getaway. They stop in Dublin for one night only so grab your ticket while you can! The Red Hot Chili Peppers who have won six Grammys and were inducted into the Rock and Roll Hall of Fame in 2012 have a big Irish following and their show at 3Arena Dublin December 2016 is likely to be sold out.